The advent of digital technology means huge quality improvements when it comes to the adjustment of refrigeration systems or heat pumps. Digital manifolds provide high-precision temperature and pressure measurements, determine subcooling and superheating, but also enable reliable evacuation of the system through accurate vacuum measurement. And the convenient testo refrigeration App makes commissioning, maintenance or repair even quicker! Commissioning, maintenance and/or repair? 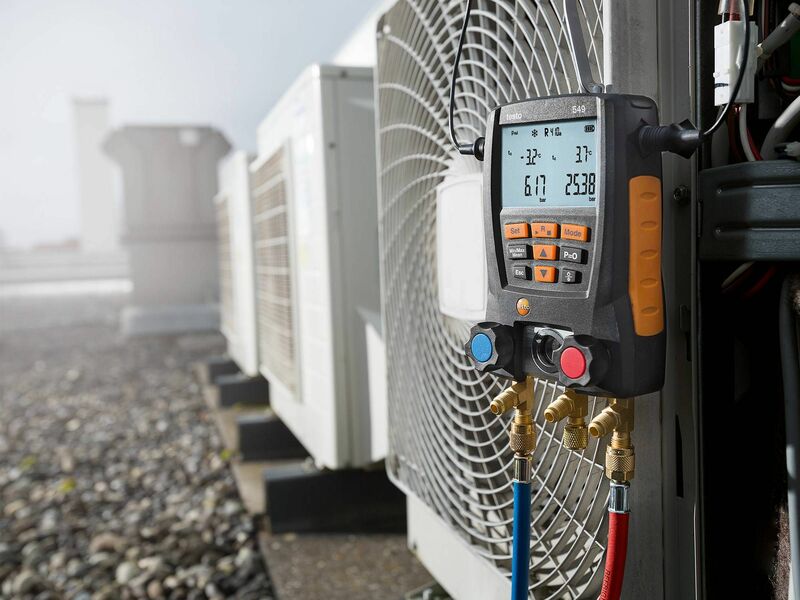 No matter where the focus of your work on refrigeration systems and heat pumps is, Testo has the appropriate digital manifold for you. Are service and maintenance of refrigeration systems your thing? This digital manifold will mean you can work efficiently, determine superheating and subcooling in real time and avoid manual calculations which are prone to errors. It is not for nothing that these are our best-selling manifolds: They offer everything for all-round service and can be combined with the convenient testo refrigeration App. 60 common refrigerants stored in the instrument, easy updates via App! Our tip: We recommend the testo Smart Probes refrigeration set for fast testing of a refrigeration system. Find out here how easy and efficient it is to use Testo’s digital manifolds. Download free of charge now! 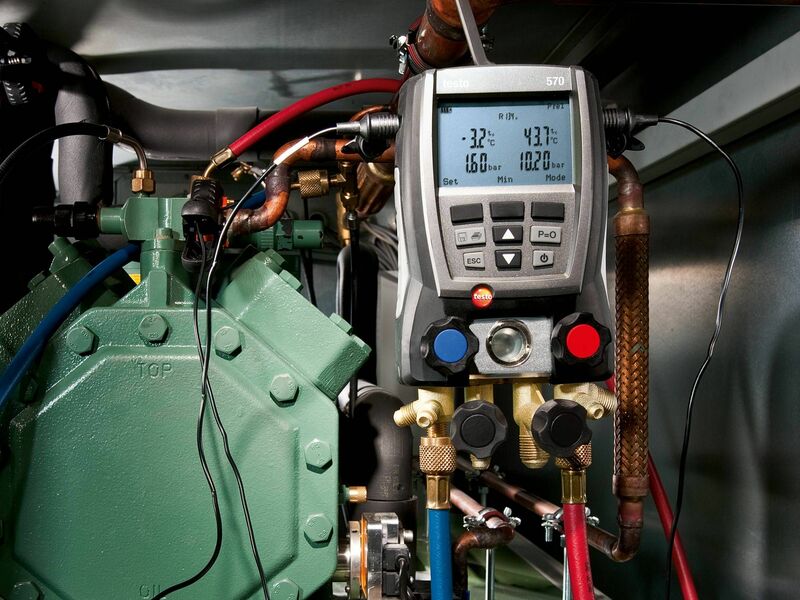 Everything you need to know about working efficiently on refrigeration systems or heat pumps. Prepared for you in a compact format and as a free download. See here how to initiate a perfect refrigeration system evacuation using the testo 570 digital manifold. 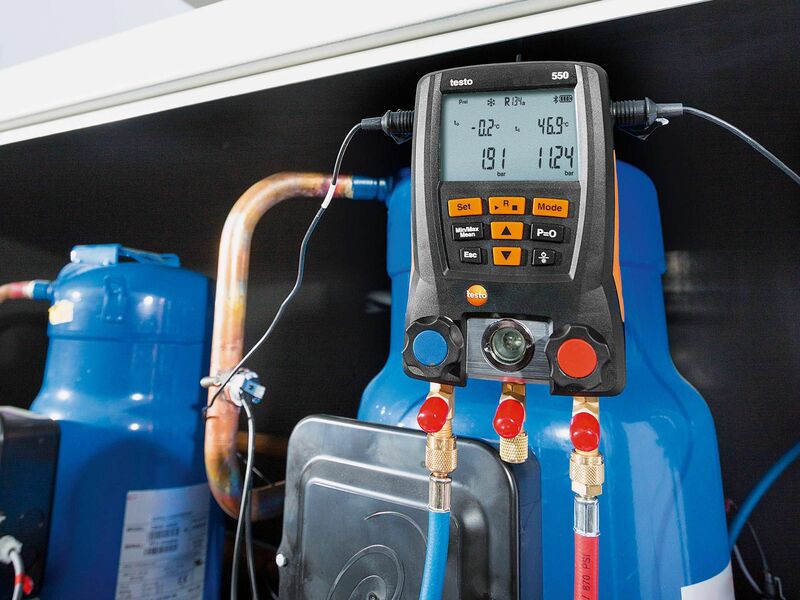 Here you can discover how to carry out a reliable and fast pressure resistance test on a refrigeration system using the testo 570 digital manifold.